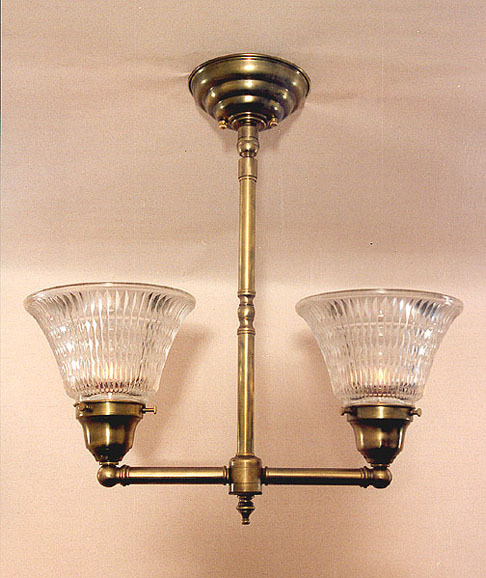 A simpler version of our vintage antique two light olde electric reproduction. Customize this one to turn it from simple to stunningly detailed! Shown in Antiques Brass. Available in different Metal Finishes, different Glass, Back Plate, multiple arms and many other Custom Options.